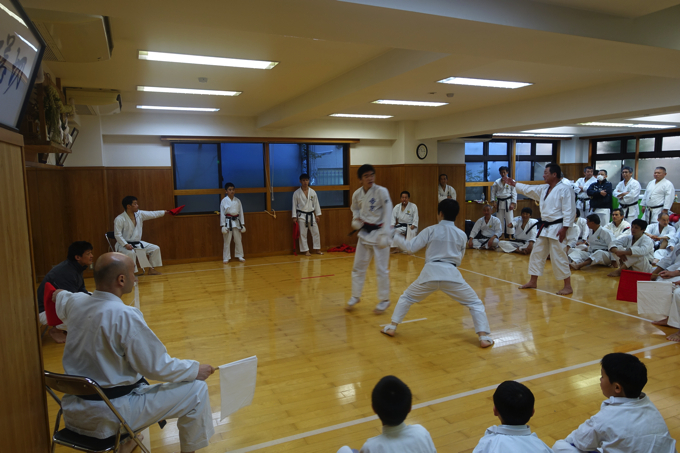 On the 2nd day, we also had judgement seminar so that members of elementary and junior high school students took lessons together. 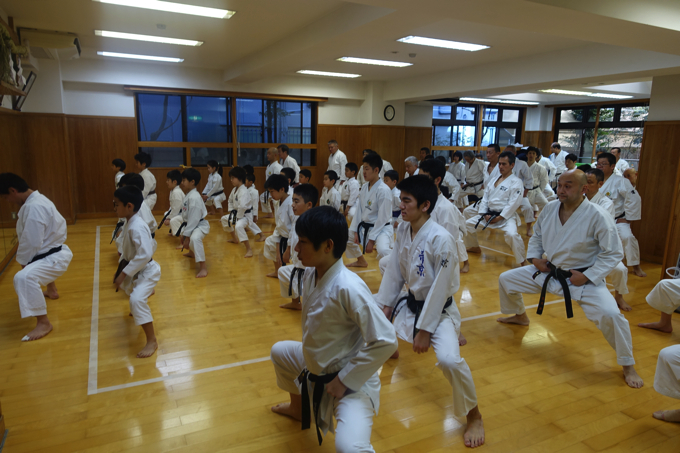 They learned how to build up strength of lower body under the guidance of Kanayama sensei. 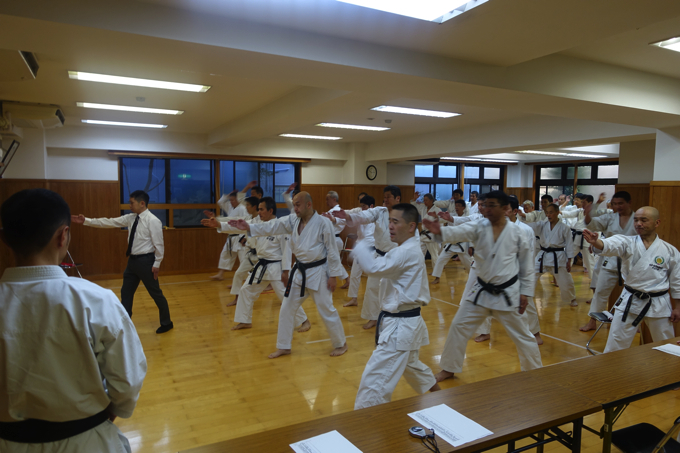 Instructors who took the lessons yesterday seems struggling with their muscle ache they got last lessons by Kagawa Shihan. We believe their lower body got much stronger in this 2 days. 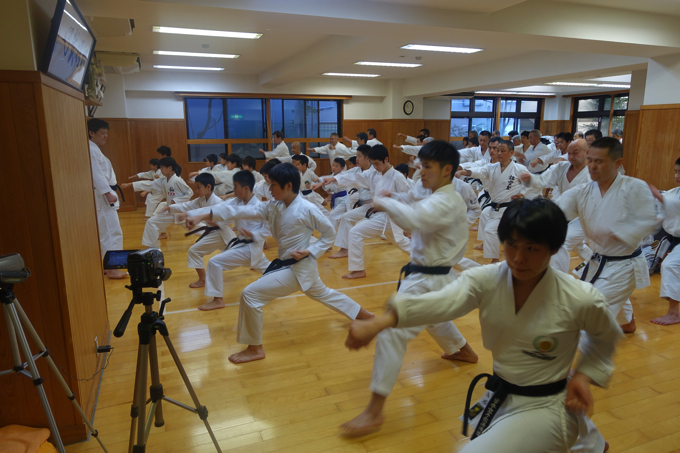 Next lesson is basic lessons for kumite. 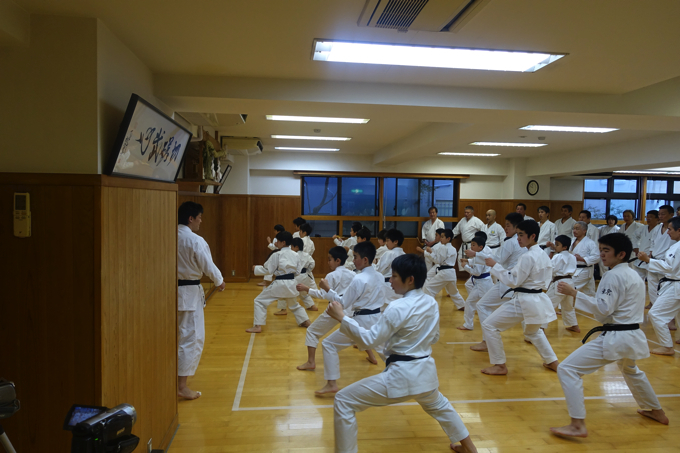 They learned the points of “Kamae” and “Tsuki”, and how to use their foot step and spring of legs. 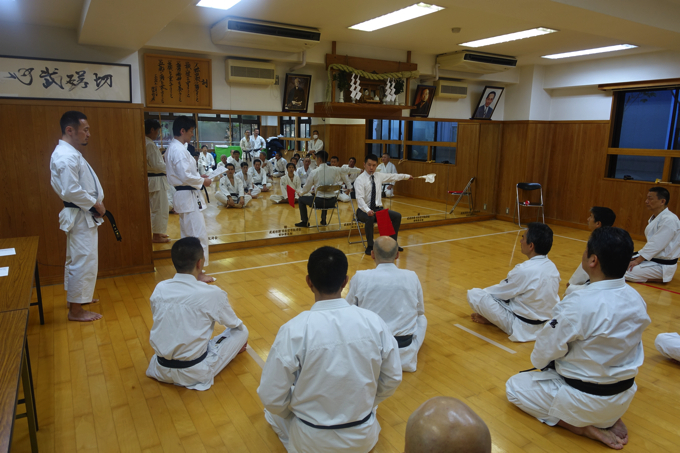 On the judgement seminar, they relearned the movements for judges with lecture by Makita sensei. 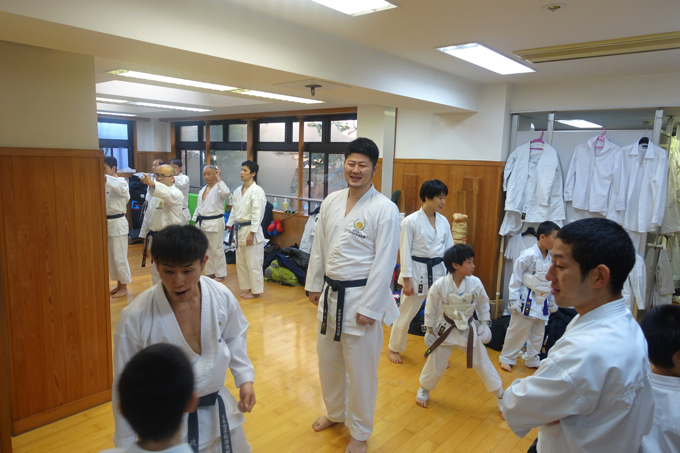 During instructors learning judgement, all kids were learning the point of kumite personally by Nagaki sensei, Kagawa sensei, Someya sensei and Toyama sensei. They seems being very happy to took the lessons by 4 instructors who succeed world wide. After relearning of movement for judges, instructors had chanced to try what they learned at the matches by kids. 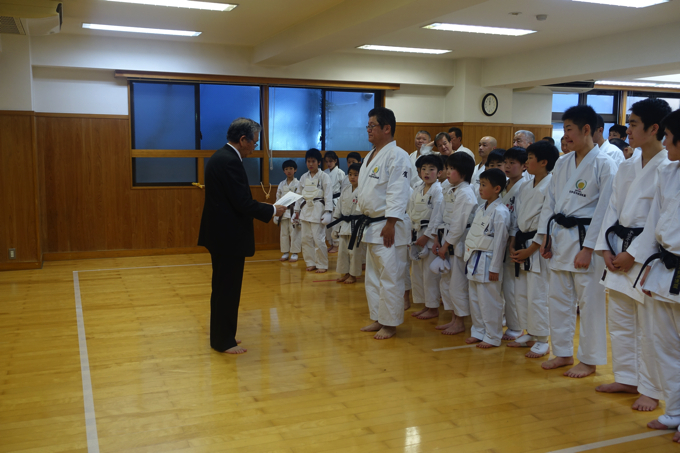 During the matches, sensei of head quarters were checking their movements and taught the important points one by one. At the end of the all lectures, everybody got certificate by president Matsui and National technical seminar was closed. Everybody did a very great job! 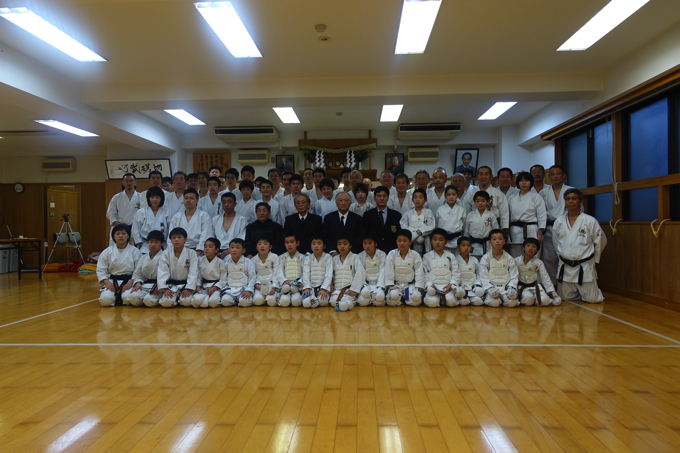 We hope everybody pursue learning what they learned on this 2days and taught them to the other members at their Dojo.